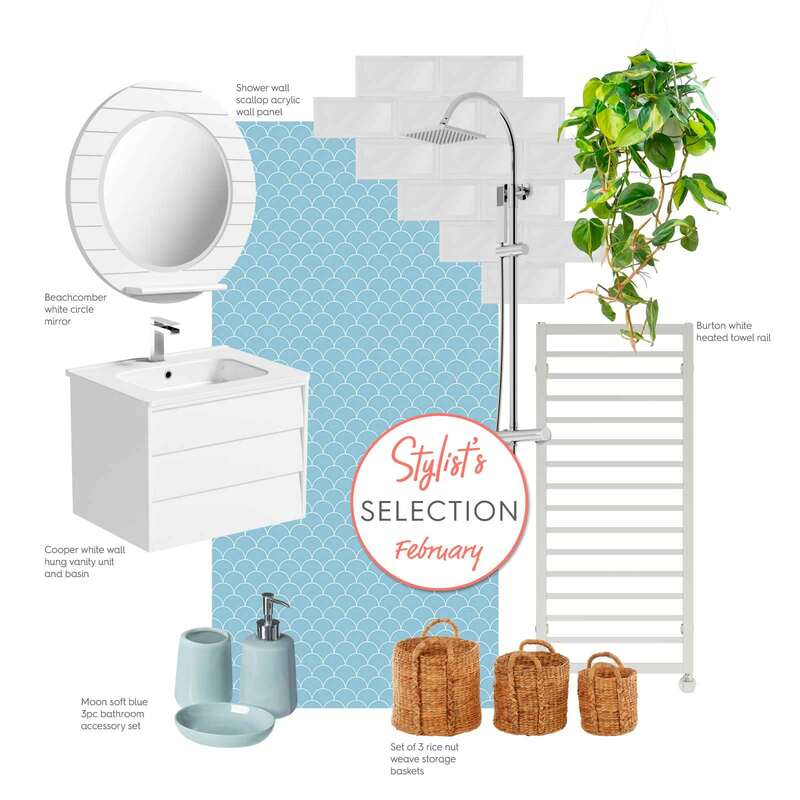 Check in with our resident Stylist Nicky, as she picks out her favourite bathroom products to help you produce a fresh new look for February. It's hardly surprising so many people choose to renovate their bathroom at this time of year. With the days getting longer and the prospect of spring just around the corner, February really is a great month in which to turn over a new leaf and make a fresh start. With these new beginnings in mind, I've picked out some brand new products to our range to produce a look that is clean and contemporary, with a touch of coastal style. Check out my mood board below for inspiration. ... the Cooper white wall hung vanity unit and basin from Mode Bathrooms. 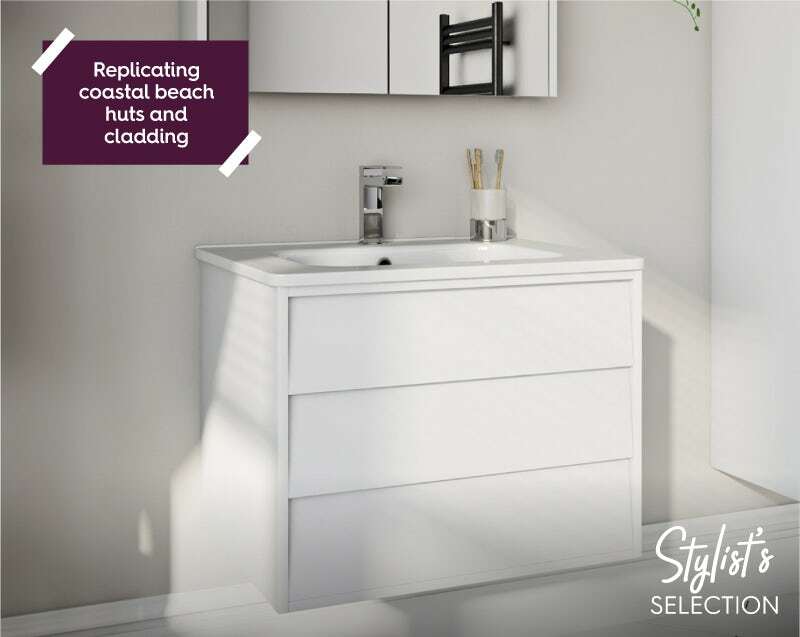 The sleek and simple design features angled drawers, replicating coastal beach huts and cladding, bringing a touch of seaside style to this month's selection. This gorgeous vanity unit comes in a range of sizes, with matching storage cabinets and mirrors also available. This will create a simple yet cohesive look. ...the Beachcomber white circle mirror—the perfect match for this coastal-themed look. 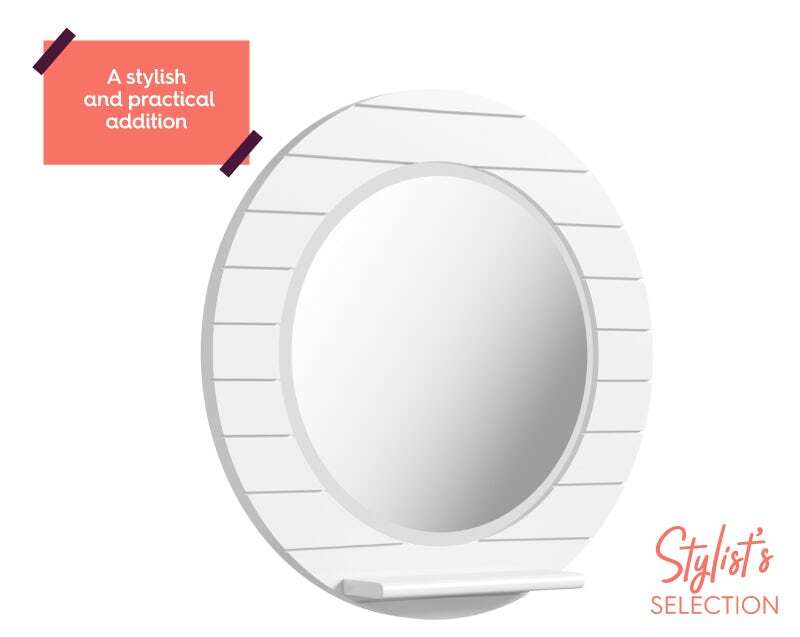 White cladding, plus a handy shelf for your daily necessities combine to create a mirror that isn't just stylish but practical too. ...the Moon soft blue 3 piece bathroom accessory set. I think the cool blue adds a clean and clear look without being too overbearing. A perfect option if you're looking to add a splash of colour without the result being too dramatic. ...this set of 3 rice nut weave storage baskets. 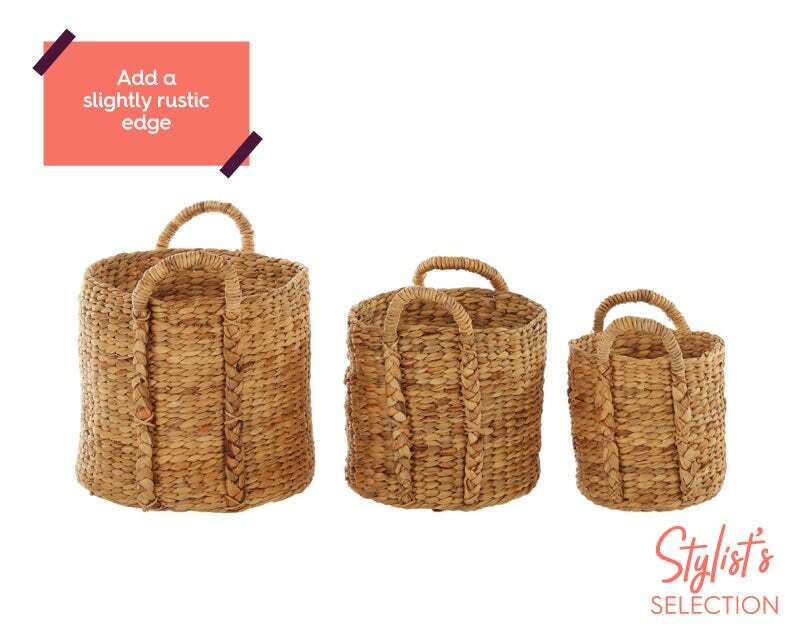 As clever storage solutions and tidying hacks are becoming increasingly popular, I have decided to add these lovely woven storage baskets to my selection, which come as a 3-piece set. They add a slightly rustic edge to this look whilst simultaneously contributing to the coastal theme. They look great with neatly rolled up towels or as a handy place to store spare toilet rolls. ...the Showerwall Custom Scallop acrylic wall panel. One thing I can’t seem to get enough of lately is wall panels! 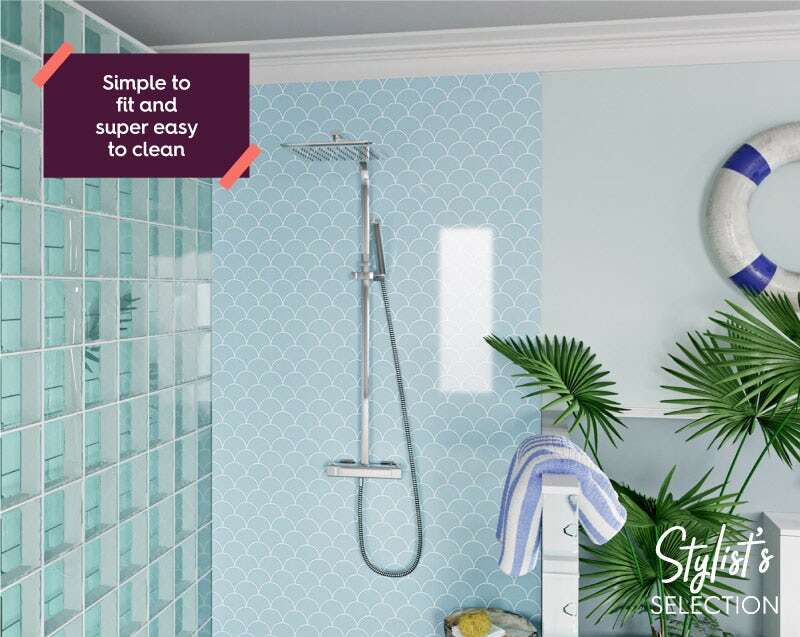 They're simple to fit, super easy to clean and come in a huge range of patterns, textures and colours, so there is always one which is perfect for you. I've picked out this classic scallop pattern in blue which ties in perfectly with the accessory set and the coastal theme. ...the Burton white heated towel rail from Mode Bathrooms. 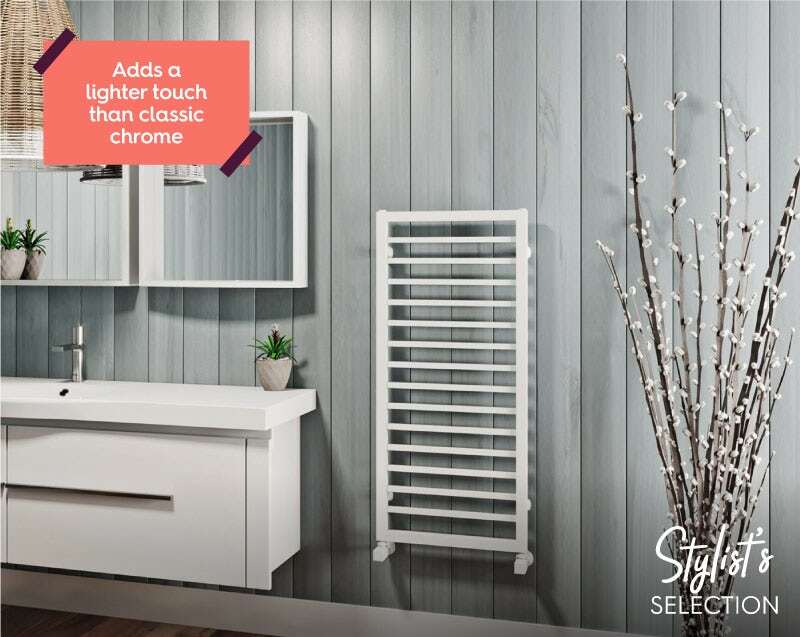 You certainly can't have a cold bathroom, especially in the middle of February, which is why I’ve decided to include this stylish heated towel rail as part of my selection. It comes in a lovely crisp white finish which is ideal for this look, adding a lighter touch than classic chrome. It's great for keeping your towels luxuriously warm during these cold winter months and provides the perfect finishing touch to this month’s Stylist's Selection. Check back with us each month for a fresh Stylist's Selection, with plenty of new products and themes to inspire you. You can even look back through previous months by clicking on the image below. Our stylist Nicky picks out her favourite bathroom products for the first month of the new year, showing you how to achieve an eclectic mix of styles. 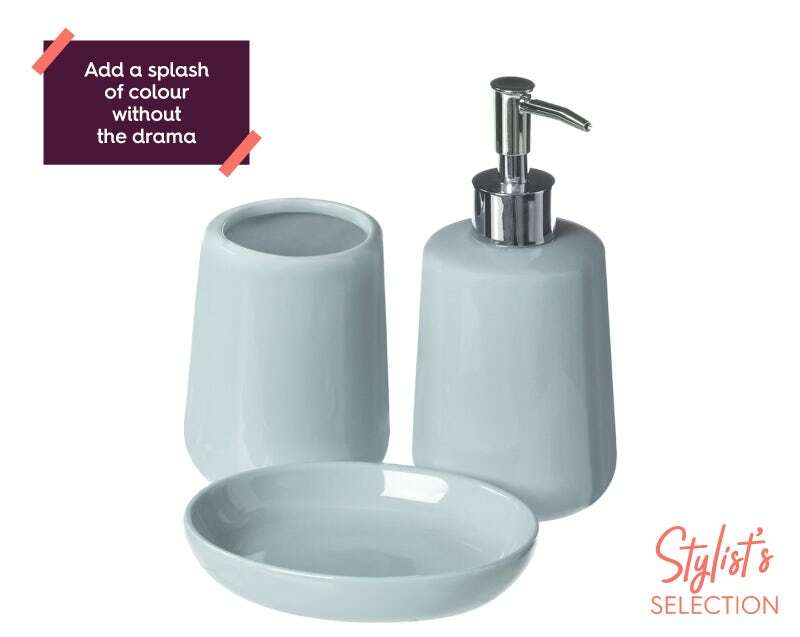 Get your bathroom ready in time for Christmas with our Stylist Nicky's latest bathroom selection, including our brand new Beaumont sapphire blue furniture. Check our Stylist Nicky's top bathroom picks for December 2018 and discover how you can create a mindful, relaxing space for the year ahead.